ScaiPlatform is a free business intelligence (BI), data analytics, reporting, and sql database management web platform for Amazon Redshift and Amazon RDS (Aurora, MySQL, Postgres, SqlServer, H2, etc). There are no strings attached and free support with ScaiPlatform for 2 users. 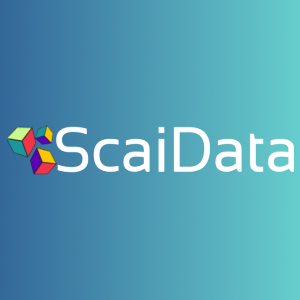 The ScaiPlatform is a modern, free business intelligence web platform for Amazon Redshift, Amazon RDS(Aurora,MySQL,SqlServer, PostgreSQL,H2,etc) with data analytics, reporting, and sql database management functionality for 2 users. Compared to other BI solutions, Scai lets you connect to, analyze and manage your data sources within one single platform. You will save time, effort without any costs (free). Seamlessly connect, switch between and share data sources with a click of a button. Once connected, beautiful graphs(e.g. scatter, line, point, and bar) and dashboards can easily be created and shared with other Scai users. Without any coding and with a couple of clicks, users can easily explore and manipulate data, as well as perform multi-dimensional data analysis to compare between different KPIs or segments. You can directly add new records to your existing tables, delete rows based on conditions (e.g.clean your dataset from outliers or null values), and update existing data. Moreover, data files can be imported into/exported from your Amazon Redshift, RDS or any supported SQL database without writing any SQL-specific code. Scai will take care of it for you. Scai, one platform to unify your analytics and data sources. Get started for free now!